A blindfold is placed over your eyes. You are instructed to stand back-to-back in a neat row of four. A door creaks open, and you and your friends are ushered into a dark, eerily quiet room. With equal parts excitement and gut-wrenching terror, your heart starts to pace while your breath gets shallow as you wait for the sound of the timer. 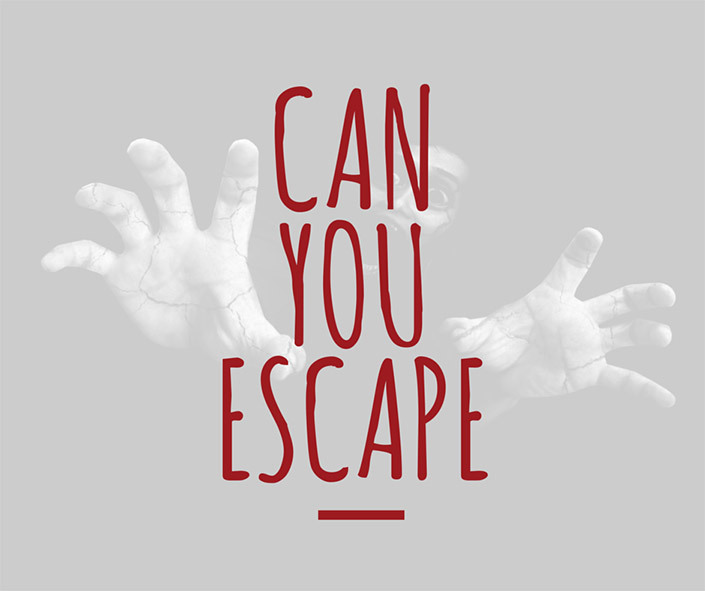 With just sixty minutes on the clock, you and your friends are faced with the task of working through a series of puzzles to escape your room before your time runs out. It’s the latest craze taking Sydney by storm, and we’re pretty pumped to be leading the charge in one of Sydney’s fastest growing Western suburbs, Parramatta. The concept of an Escape Room is born from a slew of video games dating back to early 2000. Characters are placed in a locked room together, where they must use objects from within the room to solve a series of puzzles that stand between them and their escape. From riddled computer games to real-life, Japanese-born Takao Kato’s “Real Escape Game” brought Escape Room video games to life in Kyoto in 2007. Today, you’ll find Escape Rooms are taking over the US and Europe – while in Australia we are starting to see more and more pop up to delight the senses of unsuspecting patrons. Before you plan your escape, take the time to choose your room of choice. Every Escape Room, including our very own Labyrinth Escape Rooms, are ‘themed’ to different scenarios – with puzzles, clues and props to suit. What would you do if you held in your hand a potion to reverse ageing, for good? A mad scientist has created just that – and word is he’s on the run with a pretty perilous plan in place. As watchmen track his path, you and your team are to go back to his lab to track his path before it’s too late. The Insane Asylum has stood abandoned atop the hill of a small town for years. In the last few years, staff have reported a strange string of events that have the whole town spooked. Doctors have called in your team of investigators to step inside and face the darkness that lies within! Each Escape Room you enter has been carefully constructed to stimulate every one of your senses. You are locked in a thematic environment for just one hour where a string of clues and peculiarly placed objects await you. You will be blindfolded and led into the room by an assistant. Once in the room, the door is closed shut and locked. From that moment on, the clock is started and it’s game on! Using survival instincts you may have since forgotten, you and your team will need to work together, keeping your eyes fastened on every minute detail in the room that might hold the key to your escape. Challenge yourself and your team to use lateral thinking, intuition (follow your gut!) and problem-solving skills to work through the room before it’s too late! Learn Strategic Thinking and Team-Building as a Bonus! Here at Labyrinth Escape Rooms, we encourage everyone to try out the Escape Room experience for themselves! From kids, adults, friends and family members, to partners and co-workers, we guarantee that everyone will benefit from an Escape Room experience! Looking For a 60-minute Team Building Event? For large group activities or corporate team-building, Escape Rooms present a unique team building experience. Have colleagues share an exciting experience to talk about for months to come! Ready to Try It Out? Receive a Grand Opening Special! Labyrinth Escape Rooms will be opening for business soon in Parramatta – Sydney’s West. Receive a $20pp Opening Week special.